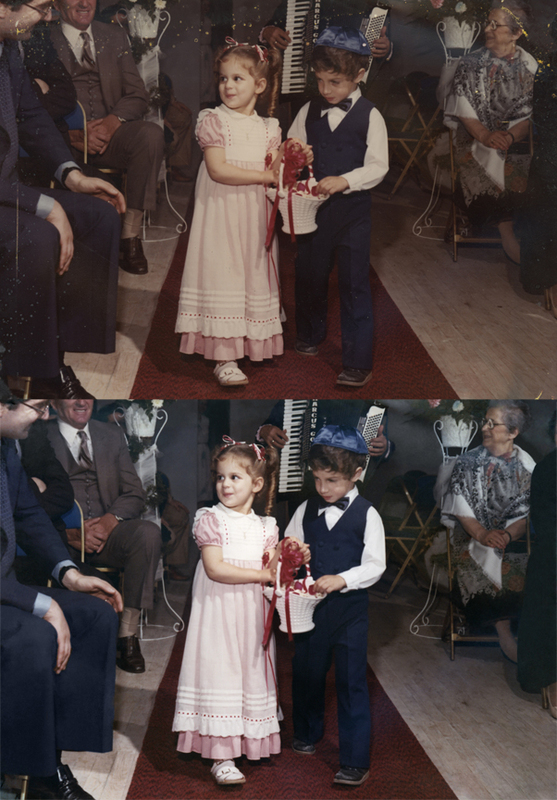 If you're a photo restoration expert (or if you have some photo restoration skills) you can volunteer to help restore the photos they have scanned (they currently have over a thousand and they're holding scanning events on a fairly regular basis so more are being added). Already it's three months since the hurricane and it looks like the task isn't even Close to being near the end. They are looking for Beginner, Intermediate and Advanced skills so don't be shy! If you don't have restoration skills they can use help in other ways. Check out their Other Ways to Help section. It's a great organization and they need help. These are a couple I did recently for Care for Sandy..... 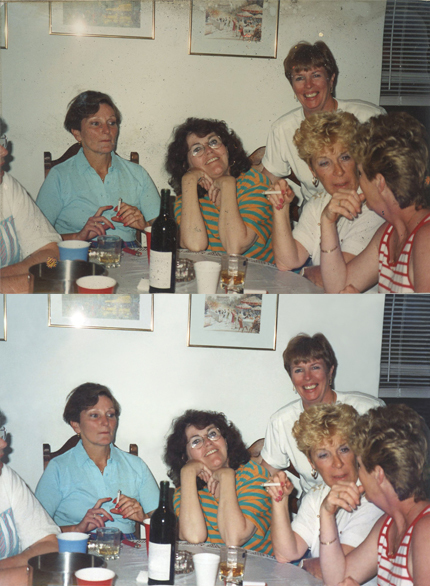 The top photo was in a home hit by the hurricane and then burned to the ground. So it had both water and fire damage. You can see it here too.